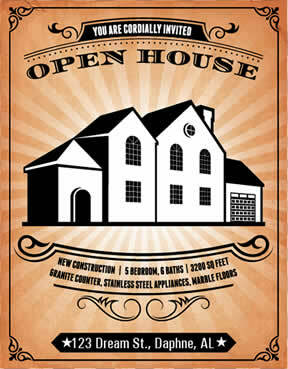 I often get posed the question, "do open houses really work?" The answer over whether to do an Open House & what to expect is – is more an art than a science… We’ll start by explaining based on experience first, then conceptually, second. Daphne, AL, in French Settlement – only 2 visitors all day (& one was a neighbor who was just curious & actually came twice!). Daphne, AL, in Bellaton – Over TWENTY-SIX visitors and they just kept coming, even after the hours of the open house ended! This is the most traffic we have ever had at a regular (non-parade home) open house. Fairhope, AL, in Stone Creek – Only 2 or 3 groups of visitors, and most of them were already building in the neighborhood, or just our looking for new ideas, no serious buyers. So, in the day an age where buyers can get so much information from online mapping tools, photo galleries, floor plans and mega-sites like Realtor.com, Trulia & others, do open houses have a place in real estate these days? Are Open Houses worth the time, effort, and energy involved? 1. The more visits a house gets, the faster it will sell – in general this is true. 2. Buyers love open houses. Buyers do like to drive neighborhoods and they use open houses to get tips and trends. Having worked many Spring & Fall Tour of Homes, you see many of the same potential-buyers over and over – some non-Realtors just really like learning about trends in real estate! Fact or fiction – ‘do open houses generate BUZZ’? Many sellers feel an Open House will generate a buzz or exposure for their listing – if you promote it effectively over the web, social media, posting boards, mega-sites & only a few people show-up, you’ll find out the answer to that one – but many factors fall into play so as evidenced by the three listed above, all from the same weekend. So, there are pros and cons - my very first sale was an Open House – literally buyers came in & wrote an offer that day on the spot – what a great early impression of the possibility of success from an Open House! Then, over the next 10 years, as my team & I sold close to a thousand more homes, only two other sales can I say were ever attributed to an open house. 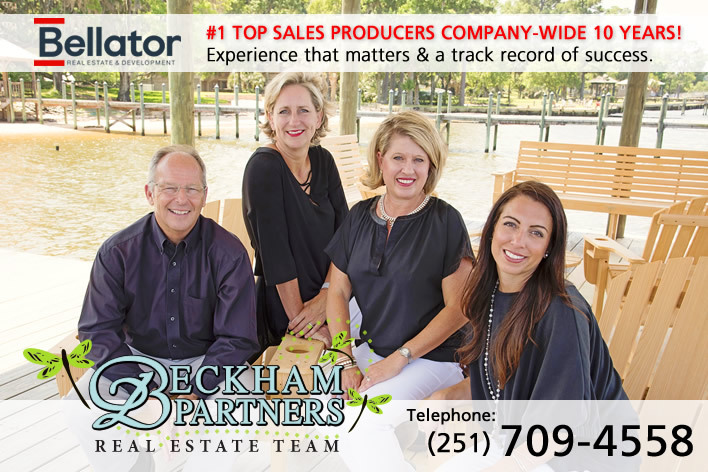 You can hear about all of our Open Houses on the Alabama Eastern Shore, by ‘likeing’ our Baldwin County Real Estate Facebook announcements, orGoogle+ real estate announcements, you’ll also get other helpful articles and area info. We also have a Baldwin County Real Estate Twitter feed – you can get Open House announcements from any of these great sources.